AJ Taylor Solar Division can deal with all your Solar Photovoltaic requirements from initial survey, through to design to installation, followed by after care as required. Why should you invest in Solar Panels in Brighton? Every unit of electricity you generate will earn you money. Save money on your electricity bills, in years to come. Generate your own clean, green electricity while reducing your carbon footprint. A J Taylor has been trading since 1983 as an electrical contracting and air conditioning company. 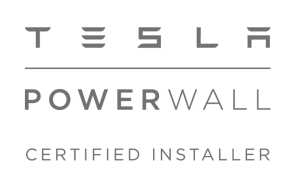 In recent years we have moved into the renewable energy sector, early in 2011 we became accredited to design and install domestic and commercial Solar Photovoltaic installations. 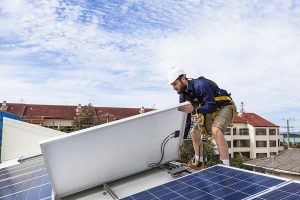 The solar division is run with the same ethics and professionalism as the electrical company, with the same engineers carrying out the installations. All roofing works are carried out by qualified roofing contractors. From an initial team of two electricians and an apprentice, we currently employ over fifty, fully qualified engineers and apprentices who receive continual training while working with us. We also have a dedicated and knowledgeable office team based in the centre of Brighton who are happy to answer any queries relating to our line of work. So if you choose A J Taylor Solar Division for your Solar Photovoltaic, you will be using a company that will still be here in years to come to service, maintain and deal with any problems you may have with your system. A J Taylor Solar Division are currently offering very low prices on Solar Photovoltaic installations. If you are interested in a Solar PV system proposal for your building, simply contact our office on 01273 600089 and we will be happy to answer any queries. Through the government backed Feed-in Tariff Scheme you will earn money for producing energy regardless of whether you use it or not. Feed-in Tariffs guarantee tax free payments for 20 years and are index linked to RPI (Retail Price Index).This free, green electricity feeds directly into your home, which means you will benefit from lower electricity bills, they also require little maintenance. Solar PV Feed-in Tariffs are available to anyone wishing to generate their own electricity, including home owners, public sector bodies, charities and businesses. Anyone producing up to 5 megawatts of electricity will qualify, with most installations being under this limit. The return on investment is approximately 10% depending on the orientation and size of your roof. Please note you must use an MCS-accredited installer such as A J Taylor Renewables in order to qualify for the Feed in Tariff.